State Street in Boston, Massachusetts, is one of the oldest streets in the city. Located in the financial district, it is the site of some historic landmarks, such as Long Wharf, the Old State House and the Boston Custom House. In 1630 the first Puritan settlers, led by John Winthrop, built their earliest houses along what is today "State Street." The Puritans also originally built the meeting house for the First Church in Boston on the street across from the marketplace, which was located where the Old State House stands today. By 1636 the thoroughfare was known as Market Street. From 1708 to 1784 it was renamed King Street. In 1770 the Boston Massacre took place in front of the Customs House. During the Revolutionary War, it assumed its current, non-royalist name. In the 19th century State Street became known as Boston's primary location for banks and other financial institutions. The Blue Line of the MBTA runs below State Street. Two stations have entrances on State Street: Aquarium, and State. The Faneuil Hall Marketplace can also be found nearby. The east end of State Street is at Long Wharf, where ferries are available to several places, including the airport. ^ Boston Street Laying-Out Dept. A record of the streets, alleys, places, etc. in the city of Boston. Boston: City Printing Dept., 1910. Wikimedia Commons has media related to State Street (Boston, Massachusetts). "State Street". Ballou's Pictorial. Boston, Mass. 8. 1855. Faneuil Hall, located near the waterfront and todays Government Center, in Boston, has been a marketplace and a meeting hall since 1743. It was the site of speeches by Samuel Adams, James Otis. Now it is part of Boston National Historical Park and a stop on the Freedom Trail. It is sometimes referred to as the Cradle of Liberty, in 2008, Faneuil Hall was rated number 4 in Americas 25 Most Visited Tourist Sites by Forbes Traveler. There was an opposition to market houses, and although a vote of thanks was passed unanimously. Funded in part by profits from trading, the building was begun in Dock Square in September of the same year. It was built by artist John Smibert in 1740–1742 in the style of an English country market, with a ground floor serving as the market house. According to Sean Hennessey, a National Park Service spokesman, some of Bostons early slave auctions were located near Faneuil Hall, in 1761 the hall was destroyed by fire, nothing but the brick walls remaining. It was rebuilt by the town in 1762, in 1775, during the British occupation of Boston, it was used for a theatre. In 1806, the hall was expanded by Charles Bulfinch, doubling its height and width. Four new bays were added, to seven in all, the open arcades were enclosed. Bulfinch applied Doric brick pilasters to the two floors, with Ionic pilasters on the third floor. This renovation added galleries around the hall and increased its height. Neighboring Quincy Market was constructed in 1824-26, Faneuil Hall was entirely rebuilt of noncombustible materials in 1898–1899. On October 9,1960 the building was designated a National Historic Landmark, the ground floor and basement were altered in 1979. The Hall was restored again in 1992 and in 1994 designated as a Boston Landmark by the Boston Landmarks Commission. It was designed by Benjamin Thompson and Associates and managed by Ashkenazy Acquisition Corp. its success in the late 1970s led to the emergence of similar marketplaces in other U. S. cities, chappelle was a Boston legislator from 1883-1886. On the front page of The New York Age newspaper on Saturday, on November 7,1979, Faneuil Hall was the site of Sen.
First Church in Boston is a Unitarian Universalist Church founded in 1630 by John Winthrops original Puritan settlement in Boston, Massachusetts. The current building is on 66 Marlborough Street in Boston, the church has long been associated with Harvard University. 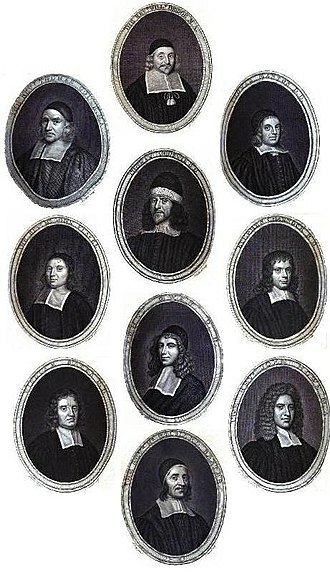 The church was created in 1630 when the settlers on the Arbella arrived in what is now Charlestown, John Wilson was the first minister, and the only minister while the church was in Charlestown. Two years constructed a meeting house across the Charles River near what is now State Street in Boston. 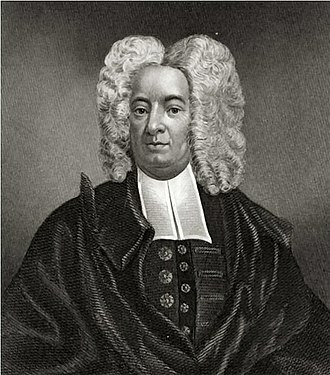 In 1633 John Cotton arrived from England, and was an elder at the church, helping to establish the foundation of the Congregationalist Church. Massachusetts state churches including First Church were officially disaffiliated with the government in 1833, in the 19th century, the First Church moved to Back Bay in Boston. The building at 66 Marlborough Street in Boston dated from 1867 and was designed by Boston architects William Robert Ware, after a fire in 1968, First Church and Second Church merged and built a new building at the same location. The Blue Line is a rapid transit line in the Greater Boston metropolitan area, one of four subway lines operated by the Massachusetts Bay Transportation Authority. It runs from Bowdoin station in downtown Boston under Boston Harbor to East Boston and Revere on the inner North Shore, the stop at Airport Station, with a free shuttle bus to Logan International Airport, is one of two rapid transit connections to the airport. The line was assigned the color in 1967 during a systemwide rebranding because it passes under Boston Harbor. The East Boston Tunnel was built as a tunnel in 1904, after an extension to Bowdoin in 1916. In 1952 and 1954 the line was extended along the route of the Boston, Revere Beach and Lynn Railroad, in a project intended to reach Lynn. Further extensions to Lynn and Charles/MGH downtown are long-planned but not yet funded, the tunnel was constructed using a modified version of the Greathead Shield,2,700 feet of the 1 mile tunnel is actually under water. The excavation took two-and-a-half years, and cost $3 million and the lives of four workmen, initially designed to carry streetcars, the tunnel ran from Maverick Square in East Boston to downtown Bostons Court Street station, with an intermediate stop at Devonshire. Court Street had pedestrian access to Scollay Square station but transfers to the East Boston Tunnel required an additional fare of 1 cent, in 1906, Atlantic Station was opened, with a connection to the Atlantic Avenue Elevated. Court Street proved to be a terminus as its single-track design limited frequent service. The Boston Elevated Railway began an extension towards Beacon Hill in 1912, the downtown extension was opened to Bowdoin, with an intermediate stop at Scollay Under, on March 18,1916. Immediately west of the new Bowdoin station platforms, a turnaround loop track underground allowed trains to quickly reverse direction for the return trip. An incline leading to a new portal at Joy Street was installed at this time, the total cost of this extension was $2.3 million. Increasing passenger loads soon required an expansion of the carrying capacity of the harbor crossing. A new, four track station and two loops were constructed under Maverick Square in East Boston, the station was constructed while passenger service through the East Boston Tunnel was maintained. Commonwealth Avenue is a major street in the cities of Boston and Newton, Massachusetts. It begins at the edge of the Boston Public Garden. It continues as part of Route 30 through Newton until it crosses the Charles River at the border of the town of Weston, often compared to Georges-Eugène Haussmanns Paris boulevards, Commonwealth Avenue in Back Bay is a parkway divided at center by a wide grassy mall. This greenway, called Commonwealth Avenue Mall, is punctuated with statuary and memorials and it connects the Public Garden to the Fens. The section in Newton is made up of two separated by a grassy median lined with trees. The south side of the roadway contains the main, two-lane east-west roadway, with a one-way, the linear 1.5 miles stretch of Commonwealth Avenue between Kenmore Square and Packards Corner is well known to be Boston University territory. Boston University owns much of the property along and around part of Commonwealth Avenue. Walking from one end to the end or vice versa takes about 25–35 minutes. Paul Street, Pleasant Street, Babcock Street, and Packards Corner, these nine stops are renowned for representing Boston Universitys presence in and around this 1. 5-mile stretch of Commonwealth Avenue. The Commonwealth Avenue Mall was designed by Arthur Delevan Gilman, frederick Law Olmsted designed the Newton portion of Commonwealth Ave and included the parkway as part of the Emerald Necklace park system. The first statue on the Commonwealth Avenue Mall was erected in 1865 at Arlington Street, the Newton end of the roadway was constructed in 1895 with a line of the Middlesex and Boston Street Railway in the median. Streetcar service was cut back to its present terminus at the Boston border in 1930, an amusement park and ballroom known as Norumbega Park was built at the end of the line on the Charles River in 1897 to increase streetcar patronage. The eastern half of the Newton section of the road is listed on the National Register of Historic Places as the Commonwealth Avenue Historic District. Federal Street is a street in the Financial District of Boston, Massachusetts. Prior to 1788, it was known as Long Lane, the street was renamed after state leaders met there in 1788 to determine Massachusetts ratification of the United States Constitution. In 1727 the Long Lane Meeting House was established, it changed its name to the Federal Street Church in 1788, Henry Knox was born on Long Lane in 1750. The Federal Street Theatre was built in 1793, designed by Charles Bulfinch, by 1806, residents included engraver Joseph Callender, printer Nathaniel Coverly, merchant Stephen Higginson, comedian Snelling Powell, dancing master William Turner. In 1823, residents included the Federal Street Coffee House, hairdresser William Lenox, Esther Newell and her female intelligence office, grocer Henry Sweetser, dorothy Quincy and John Mackay lived on Federal St. in the early 19th-century. Auctioneer J. L. Cunningham worked from Corinthian Hall, 1826-1843, J. H. Buffords Sons ran a lithography printing business in the 1870s. Beacon Street is a major thoroughfare in Boston and several of its western suburbs. It goes through Boston, Brookline and Newton and it is not to be confused with the Beacon Street in nearby Somerville or others elsewhere. Beacon Street begins as a street from the intersection of Tremont Street. From this point, it rises up Beacon Hill for a block where it meets Park Street in front of the Massachusetts State House, from that intersection it descends Beacon Hill as a two-lane, bi-directional street until it reaches Charles Street. At Charles Street, it becomes an avenue that runs through the Back Bay neighborhood until it reaches Kenmore Square. It ends at Washington Street near Bostons circumferential highway, Route 128, the part of Beacon Street west of Kenmore Square was originally laid out in 1850. Railroad tracks were first laid in 1888 for what would become the modern Green Line C Branch. Robert McCloskeys 1941 childrens book Make Way for Ducklings features a mother duck leading her eight ducklings across Beacon Street, the Beacon Street Girls series of preteen books is set around Beacon Street in Brookline. Huntington Avenue is signed as Route 9. A section of Huntington Avenue was officially designated the Avenue of the Arts by the city of Boston, the Isabella Stewart Gardner Museum is only about a block from Huntington Avenue. Near the Longwood Medical Area, the touches upon a number of medical research institutions and hospital complexes. The E Branch of the MBTA Green Line roughly follows Huntington Avenue underground from Copley Square until it rises above ground at the Northeastern Portal. The MBTA #39 bus runs from Back Bay station via Huntington Avenue following the streetcar line, the bus route is considered one of the key bus routes in the system, with high ridership and enhanced levels of service. Huntington Avenue began in Art Square and wended its way toward Brookline, by 1883, the square that had been named for the adjacent Museum of Fine Arts was renamed Copley Square. The avenue originally began at the intersection of Clarendon and Boylston Streets, in the 1960s this stretch was eliminated as part of a redesign of the square, and now the avenue originates from the intersection of Dartmouth Street and St.
Charles Street is the name of a north-south street in the city center of Boston, Massachusetts. It begins in the north at Leverett Circle, where it connects with Nashua Street, science Park station on the MBTA Green Line is located there. This segment is a street, with traffic heading northwards. From Charles Circle, the street heads further south as a southbound thoroughfare. As it crosses Beacon Street, the direction of one-way traffic reverts to northbound, beyond Boylston Street, which forms the southern boundary of the parks, the street continues as Charles Street South, terminating at Tremont Street just south of the Theatre District. The street is the start and finish point for the annual B. A. A, 10K race, first organised by the Boston Athletic Association in 2011. John Albion Andrew lived on Charles St. Boston Common Boston Public Garden Charles Street Jail Charles Street Meeting House Library of Congress, 20th-century photos of house, one of the last single-family bow-fronted rowhouses to be built in Boston. John Mein was a Boston, Massachusetts and publisher in the time before the American Revolution. Mein started Bostons first circulating library, and with his business partner, John Fleeming, Mein published the Loyalist newspaper, the Boston Chronicle, son of John Mein, was born in Edinburgh where he received a good education before entering the bookselling business. In 1754, he apprenticed to Edinburgh bookseller, John Trail, in 1761, Mein advertised a variety of childrens books, and in November 1763, he announced that he would give up his business the following year. Mein emigrated to Boston in October 1764 with a quantity of books. With Robert Sandeman, Mein opened a store advertising English and Scottish prayer books, within the year, Mein dissolved the partnership with Sandeman. Mein opened his own bookstore that he named The London Bookstore and he sold the catalog for a shilling, and restricted loans to one book at a time. Fleeming, the partner in the firm and Fleeming, was a Scotchman. They printed several books and almanacks, including the almanac Mein and Fleemings register for New-England, the Boston Chronicle was a Tory paper and began by publishing articles from London critical of William Pitt who was the Whig’s hero. The Boston Gazette responded with a letter written by James Otis attacking the views of the Chronicle. Mein visited the office of the Gazette demanding to know who wrote the article, benjamin Edes would not reveal the source of the letter. A day Mein ran into Edes on the street and attacked him, James Otis representing Edes won an award of £70. In retaliation, Meins name appeared on a list of merchants who violated the trade agreement, Mein responded by publishing another letter, this time accusing the Merchants Committee of using the nonimportation agreement for illegal profiteering. The irritated public ransacked the Chronicle and Meins office in October 1769, in the scuffle, Mein shot a grenadier. He sought safety on a ship in the harbor which sailed for Great Britain a few days later, Hancock seeing this as a golden opportunity offered himself. Hanover Street is located in the North End of Boston, Massachusetts. The street is one of the oldest in Boston, and was originally an Indian path, allowing access to the shore, in the 17th century, the street was called Orange Tree Lane. In 1708, the street was renamed after the British House of Hanover, in 1824, North Street and the former Middle Street became part of Hanover. In the 1950s, the block of Hanover Street between Cross Street and Blackstone Street was demolished to make way for the construction of the Central Artery and this block was reopened in 2004 when the elevated Central Artery was removed as part of the Big Dig. In the 1960s the southern section of Hanover street, from Congress Street to Court Street, was demolished to make way for the construction of Government Center, Hanover Street is now home to many businesses, cafes and Italian restaurants. The portion of the street between John F Fitzgerald Surface Road Street and Union Street is closed on Friday and Saturday each week for the Haymarket open-air market. Boston in 1768, with Long Wharf extending into the harbor. Engraving by Paul Revere. East view of the Old State House, circa July 2003. This engraving by Paul Revere, portraying the Boston Massacre with a patriot's bias, shows the Old State House sitting prominently behind the action. Cross-section of the 1837 design of the Custom House. Site of the "Great House" near the corner of New Rutherford Avenue and Chelsea Avenue, Charlestown, Massachusetts. This was the home of John Winthrop and also served as the first seat of government in the colony. 77 Massachusetts Avenue, the site of MIT, is an important landmark in Cambridge. Massachusetts Avenue forms the commercial heart of Cambridge's Central Square. Conjectural drawing of the First Boston Town-House, as sketched in 1930.